Right up there with “Hey Jude,” “Stairway to Heaven,” “Layla” and “Smoke on the Water,” the 1977 Eagles song – written by band members Don Henley, Glenn Frey, and Don Felder – has a melody as memorable as its lyrics are cryptic. 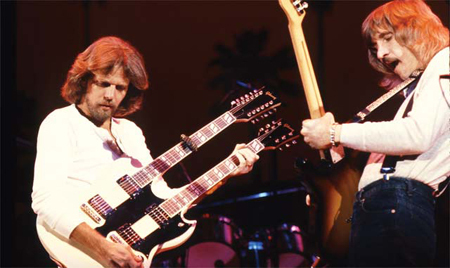 And while the #1 hit is arguably the band’s most memorable track, it wasn’t until fairly recently that Felder realized just how iconic it has become. “I was playing a small gig two years ago for the United Nations in Washington, D.C. for about 500 heads of state, political personalities, and dignitaries from all over the world. And probably half of them didn’t speak English,” the affable Felder recalls today. The impossibly young-looking 68-year-old is also touring on the re-release of his most recent solo record, Road to Forever (INGrooves). It’s an extended edition featuring four additional tracks with the original version’s dozen. “Some places like Amazon, iTunes, and Japanese distributors wanted exclusive songs when it came out, so that’s where those come from. I’m glad to see them all living together now in the same place like they were supposed to!” Felder laughs. 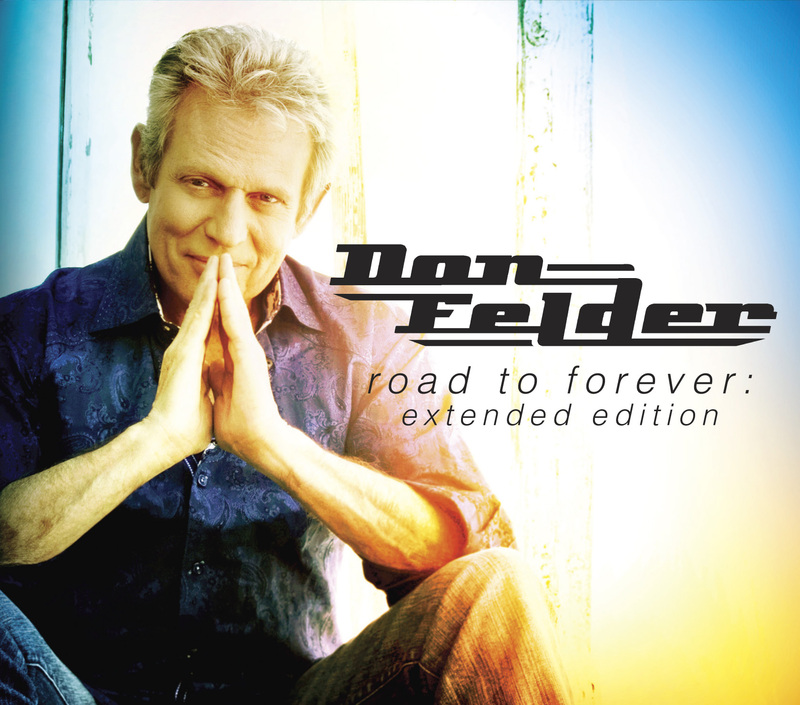 With numbers running the gamut from hard rock and ballads to laid back grooves and even a lullaby, Felder notes that it was “liberating” to do the project, especially coming on the heels of a divorce from his wife of 29 years. 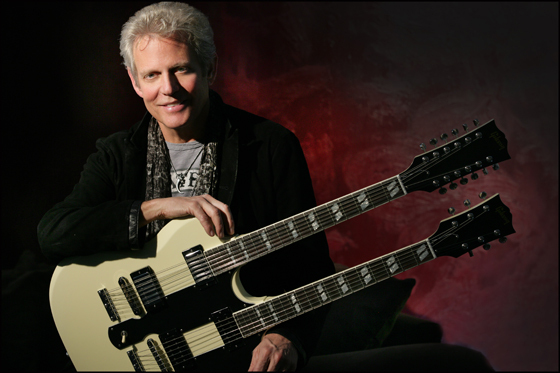 The subject and feelings color a number of tunes, including “You Don’t Have Me,” “Heal Me,” “Over You,” and “Wash Away,” the last co-written with longtime friend Tommy Shaw of Styx. “If there’s a human common denominator in life, it’s that life batters us emotionally. Loss of loved ones and family, heartbreak from relationships. All these become scars on our heart, and we all wish we could go through the process to wash away all that pain and history we carry,” he says in explaining the song. Although he’s also quick to point out that he and his ex-wife (who have four children together) have a “wonderful” current relationship, and often spend holidays together with their new significant others. Felder’s divorce from the Eagles hasn’t been so quite amicable (more on that in Part 2 of this interview), but he’s kept other musical friendships intact and thriving, as Felder is at the axis of a sort of Florida Classic Rock Galaxy. Duane Allman taught him some new ways to play slide guitar. He and Stephen Stills have been friend and collaborators since they were teens and Felder’s mother would drive them to shows. And a young Felder once gave guitar lessons to an even younger student – a guy named Tom Petty. He would go on to do pretty OK for himself. “Stephen now lives about a mile down the road from me. We play golf, do charity events together, even go to each other’s kid’s birthday parties!” Felder laughs. So when “Fall From the Grace of Love” on Road to Forever was begging for some crisp harmony vocals, it wasn’t hard for Felder to call in Stills and a couple of guys he’s sung with for decades – David Crosby and Graham Nash – to lay it down. Felder used to play guitar for the Crosby/Nash offshoot group in the ‘70s and had known the duo for years prior. In fact, it was Nash who encouraged him to leave their employ and join the Eagles in 1974. Even convinced him. Coming up in Part II: Felder’s often bumpy flight with the Eagles, his thoughts on the recent History of the Eagles DVD, and why he can’t understand the depth of hatred Don Henley and Glenn Frey still seem to hold for him. This entry was posted in Don Felder, Eagles and tagged Don Felder, Don Henley, Duane Allman, Eagles, Glenn Frey, Joe Walsh, Stephen Stills, Tom Petty. Bookmark the permalink.